Some good news this week on business confidence. The NAB monthly business survey for July showed business conditions rising to the highest level since 2008. The business conditions index was at +15 “index points”, triple the long-run average. The business confidence index rose 4 points to +12. There was a sting in the tail, however. So why are businesses fairly confident when the consumer side of the economy looks downbeat? That’s a good and hard question – and I don’t know the answer. 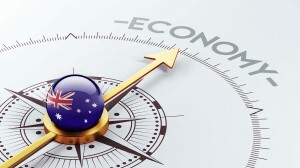 But a concerning one would be that businesses are confident for two reasons: the economy is bad enough that the RBA will have to keep interest rates low, and wage growth is so sluggish that profits will continue to get a boost. In fact, consumer confidence looks to be getting worse. 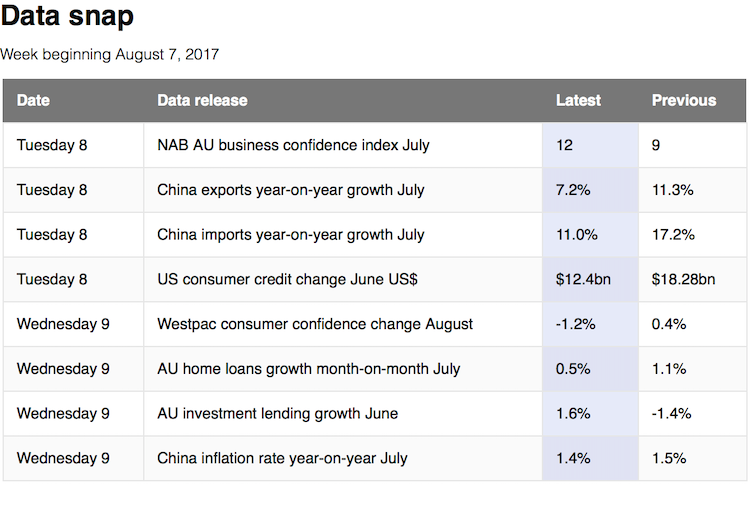 Not long after the NAB report was released, the Westpac-Melbourne Instute announced its consumer sentiment index fell from 96.6 to 95.5 last month. That marks a remarkable ninth month in a row that the index has declined. One thing that should cast a further shadow over the Australian economy is the trade figures of our largest trading partner, China. Both imports and exports slowed in July, with imports growing at 11% compared to forecasts of 16.6%. Exports grew at 7.2% compared to forecasts of 10.9%. Taken together these point to slowing domestic demand in the Chinese economy. On the one hand, this is to be expected over time – as developing economies get bigger their GDP growth rates tend to slow down. On the other hand, that’s hardly good news for Australia. After all, it was the massive ramp-up in the growth of the Chinese economy that drove the commodities boom. We also learned that the CPI in China in July was up 1.4%, compared to expectations of 1.5%. This seems to reflect a response to monetary policy tightening by the Chinese government aimed at reducing the high levels of debt in the economy. 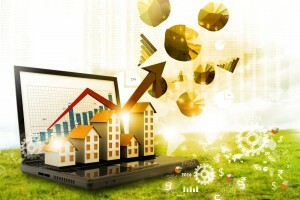 There has been a different type of policy tightening in Australia in the last year, with APRA instituting so-called macroprudential measures to address aspects of the housing market. These have led to increases in interest rates for investors, among other things. 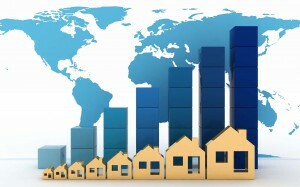 ABS housing finance figures for June showed some evidence of these having effect. 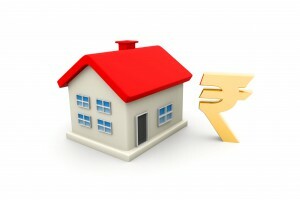 The value of housing finance for all dwellings was $32.93 billion, flat from the previous month. Yet owner-occupier loans were up 0.5% and investor loans down 0.9%. The main figure to come out of the US was consumer credit. It rose by US$12.4 billion in June compared to expectations of US$15.5 billion. It’s a little hard to know what to read into this. It could be that it reflects a genuinely stronger labour market and less need for credit, or it could be a sign of lower consumer confidence. The slew of numbers across various major economies this week continue to suggest a mixed picture. Businesses in Australia are happy, consumers are sad. The Chinese economy is slowing, but may be getting its debt problem under control. The US economy is growing relatively strongly, but consumers are borrowing less. All this again points to the fact that the macroeconomic models of the past no longer seem to capture the current economy. And that presents a significant challenge for policymakers.